CHARACTERS: Average letter size is 5’ tall x 3’ wide, with a 26 letter maximum (spaces between letters do not count as characters). When logos are included, letter totals must be adjusted. LOGOS: We can offer any logo or special art, but it must be ordered abroad, and lead-time should be planned accordingly. The price is affected by the size of the banner; a 20’ X 40’ is a highly visible and affordable size. A figure of $4.50 per square feet can be used to provide a cost estimate. COST: $675.00 per FLIGHT HOUR (timing starts at banner pick up and concludes at banner drop-off). Reserved hours may vary due to rain, inclement weather, gusty winds, air traffic, or FAA regulations. In the event of a cancellation the banner will be flown in the next available hour; if the banner cannot be flown within the scheduled date, the customer can schedule for a future date; if the customer decides to cancel a 40% of the charges will be retained and the balance will be reimbursed. TRANSFERS / RELOCATIONS: If the area to be covered cannot be serviced departing from the Isla Grande Airport, a transfer to the airport closest to the site will be charged. If the area to be covered was, for example the west coast, the surcharge would be $450.00 in addition to the $675.00 hourly banner rate (rates does not include taxes or landing fees). 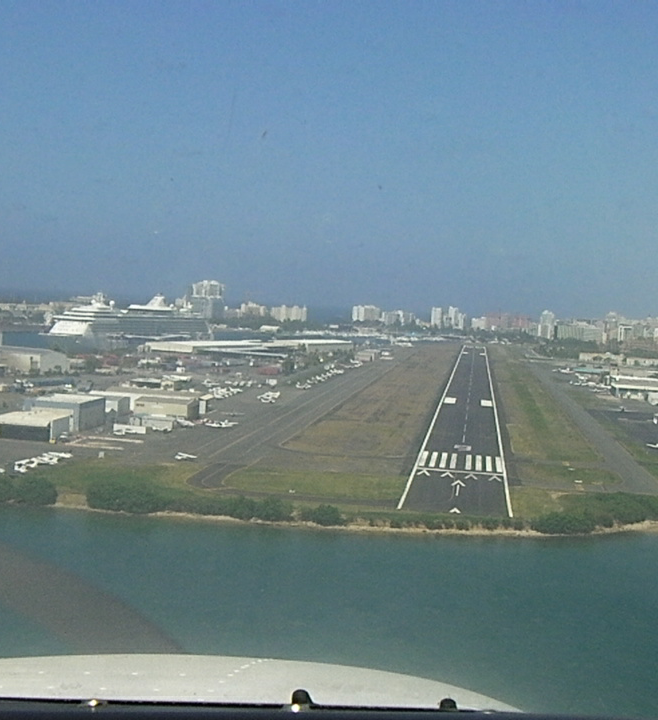 Tax is 7% and landing fees are between $6.00 and $9.00. PAYMENT TERMS: Message and Payment (CASH) must be made with a minimum of three days previous to the desired event. If the activity is to be held on a weekend or holiday we advice earlier reservation in order to secure the time desired. If service is to be rendered with less than the required three-day notice, an extra $100.00 charge PER DAY applies up to one day in advance. (Schedule permitting). DISCOUNTS: For each nine (9) pre-paid banner hours the tenth (10) will be offered free of charge. In contracts over twenty pre-paid banner hours, Transfers / Relocations fees will not be charged. COLORS: We have red and black letters in our inventory. Letters can be manufactured in any color desired for an additional charge and same lead as for custom logos must be considered. GO GREEN : Our aircraft have an efficient silencer system that will not irritate your potential customer by the noise it produces, its engines are more efficient producing a smaller carbon footprint, and more trees will be spared since all publications endanger the earth’s forest. Cell. 787-392-2723, FAX: 787-722-5611, or e-mail to: igfsserv@prtc.net.